Made from high quality polyester material,wear-resistant,22KN high tensile strength. Sewn by machine, precise suture, small pinhole, high density, strong sling. 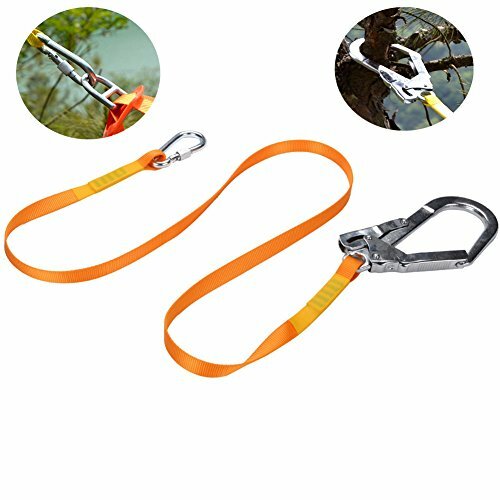 Durable alloy steel hook and buckle, lightweight, smooth, firm, do not rust easily. Great aid for climbing, caving, exploring, rappelling, aerial work, rescue, engineering protection,etc. Please allow 1-3cm difference due to manual measurement(1inch=2.54cm). Great aid for climbing, caving, exploring, rappelling, aerial work, rescue, engineering protection, etc. If you have any questions about this product by Dometool, contact us by completing and submitting the form below. If you are looking for a specif part number, please include it with your message.